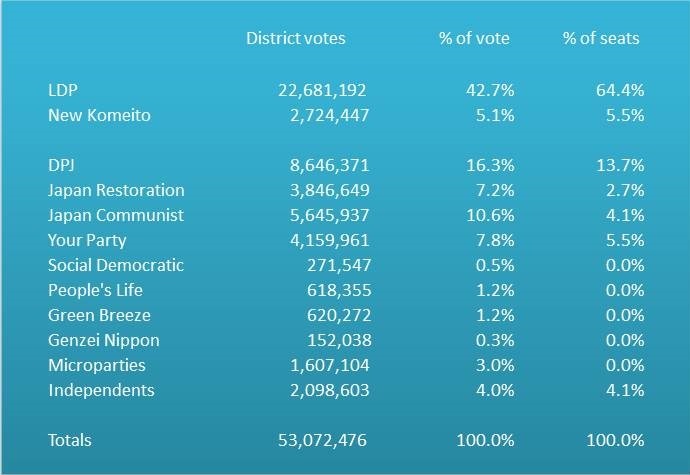 LDP/NKP got 47.9% of the district vote and 48.9% of the PR vote like you pointed out. 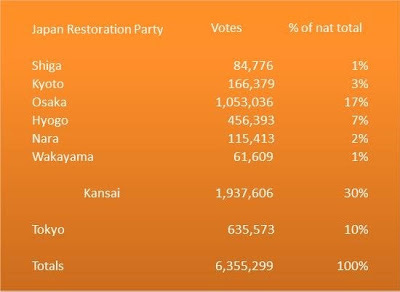 Who do you assume that this gap is made up of NKP PR voters. I tend to think they are LDP PR voters. In this election it is media wave on how "cool" and "active" Abe is. 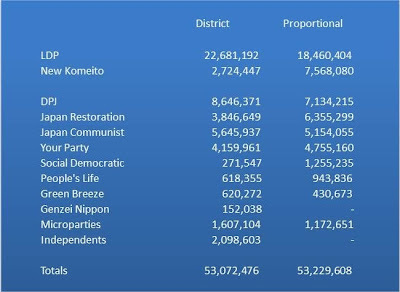 I tend to think this 1% gap are made up of people who are vote LDP PR due to perception of LDP brand and conformism due to media hype. They then voted district for some other party (more likely YP or JRP.) I doubt anyone voted NKP district and then not vote NKP PR since for each district where NKP candidate ran there is a LDP running as well. NKP district voters then are part of the NKP machine and for sure will vote NKP on PR. 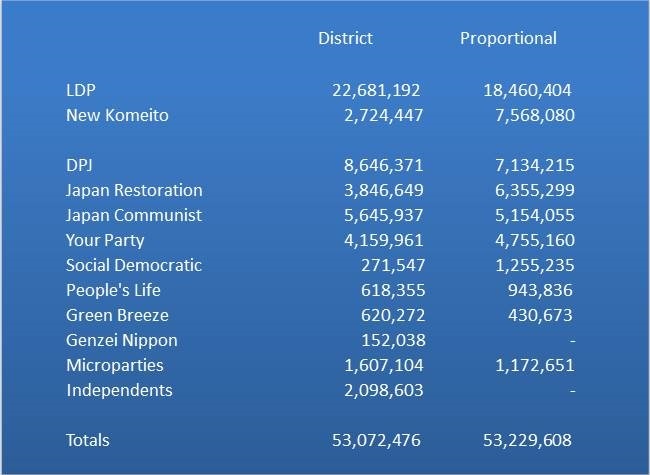 "So who did those 600,000 New Komeito voters cast their ballots for in the district elections?" 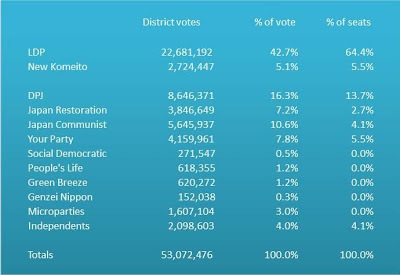 I voted for New Komeito in the proportional for your reason (b), as a brake on the LDP. 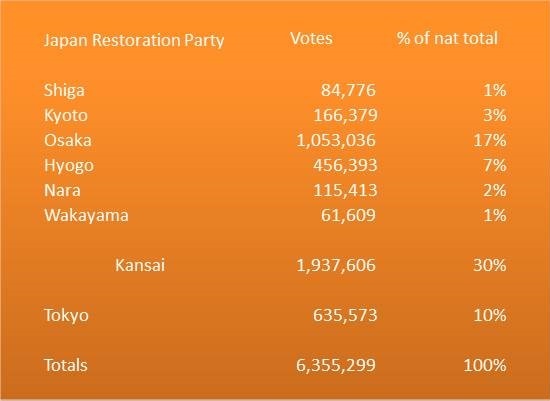 But I knew Yamaguchi Natsuo was a shoo-in in Tokyo District voting, so went for Suzuki Kan to try to influence the 5th place vote. It's called strategic voting, which is all we've got left with the decline of opposition parties.